Professional Series 10 x 13 Foot Chroma key Green Cotton Muslin AND Support Stand! 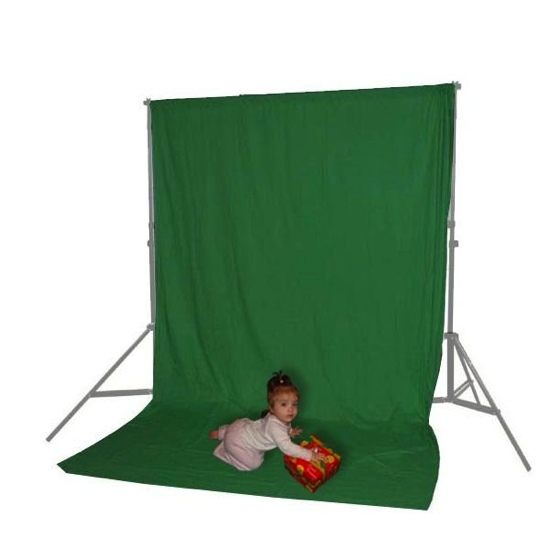 Included is a 10 Foot x 13 Foot (3x4m) durable chroma key green cotton muslin cloth and support stands. It is designed to prevent reflections and provide a solid white background improving photo or video contrast. Cotton is the recommended material by most professional photographers.